Businesses are already using our account aggregation services to build more personalised, data-driven experiences that work seamlessly with their own websites and apps. Swedish bank SBAB launched The Mortgage Match – a service that uses Tink’s account aggregation technology to instantly collect a user’s existing mortgage information from their bank, and compare with a rate from SBAB. By using aggregated data from the user, SBAB can offer a well informed and competitive offer to convince more people to switch their mortgage. Money lender Qliro use Tink’s account aggregation service to collect a user’s bank account information to automatically enter account numbers. This process not only saves time, but also eliminates the possibility of mistakes by human error. Tink payment initiation is being used right now. See how two apps use the technology to improve services in personal finance and make streamlined invoice payments. Our own customer-facing app helps people see and manage their finances clearly. Today we have 500k users taking control of their financial data, and using it to make smarter decisions. 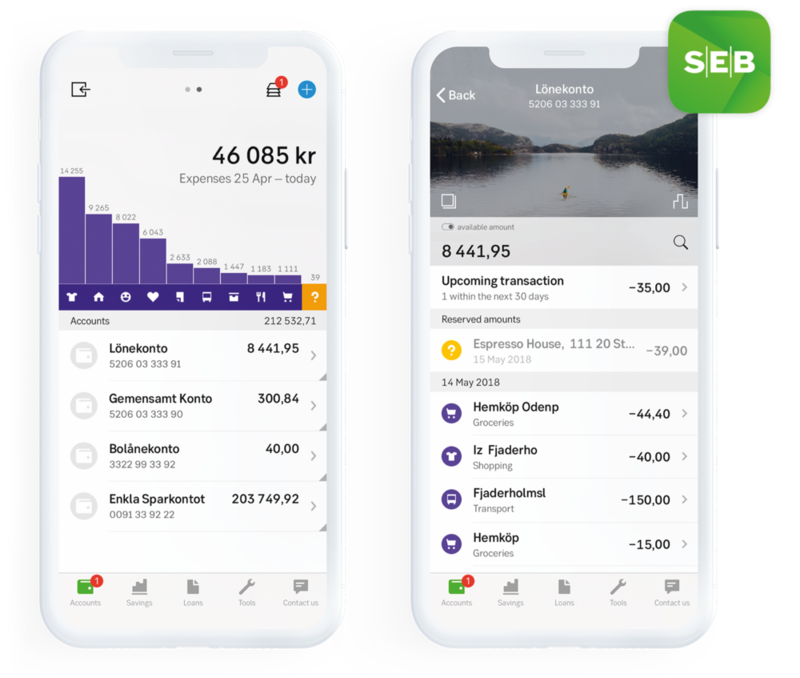 Users in Sweden can connect the app with their bank accounts to pay bills and transfer money between any bank and account directly without leaving the app. Collector Bank uses our payment initiation to create a smooth web checkout that allows customers to pay for items or services quickly and easily directly from their bank account, without the need to use their card, online banking or an invoice. Dutch bank ABN AMRO launched its standalone PFM app, Grip, built entirely on top of the Tink platform, based on a customised white-label version of Tink’s own frontend design. A public beta of Grip was live within 90 days of contract signing. Before the full-market-launch, surveys with 10,000 customers showed that 73% of the respondents would recommend the app to a friend. In addition, one out of two gave the bank a higher overall rating after using the app. - Roland Booijen, Director Apps & Digital Innovation. Major Nordic bank SEB developed its own PFM for private customers based on the Tink platform. Our simple APIs allow them to integrate all PFM functionalities, such as spending categorisation, as well as push notifications for real time advice and warnings, right inside their regular Mobile Banking app. SEB's app is now the most popular channel for private customers in Sweden, with more than 50 million visits every quarter. - Christoffer Malmer, Co-Head Corporate & Private Customer Division.